Blaze a trail to unparalleled ticket sales! With the sun on their faces and the wind at their backs, your runners will appreciate the Trail Run Flyer that leads them to your event. 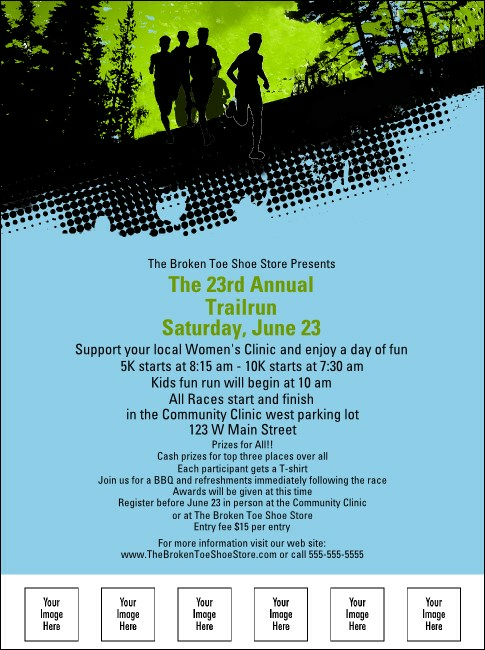 Printed with images of runners and a forest trail, this Flyer template features space for six custom images.